If there’s one makeup product I’ve been loving recently, it’s the Anastasia Beverly Hills Sugar Glow Kit. I was kindly gifted this beautiful palette from Beauty Bay for a campaign on Instagram and I’ve been using it daily since. 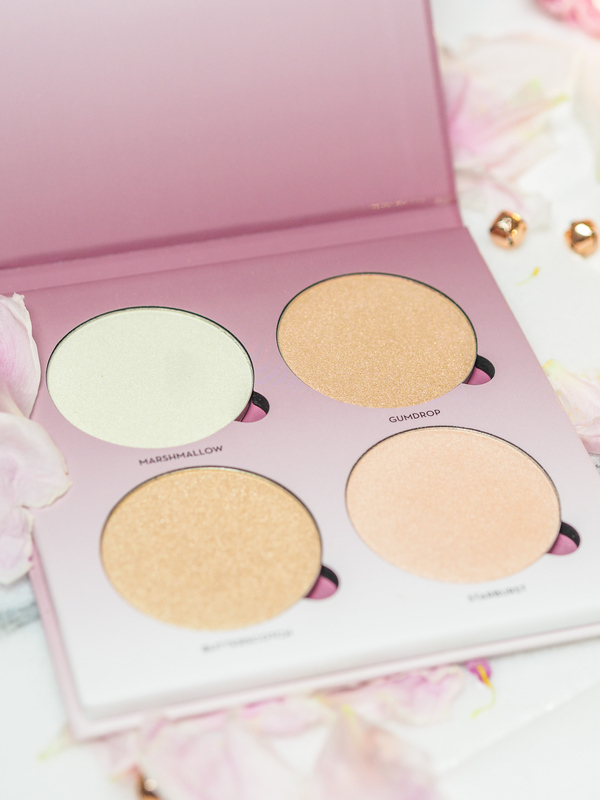 This particular version of the original glow kit is a metallic highlighter palette for intense luminosity. It contains four pressed powder highlighters in ‘sugary sweet’ shades that can be layered or worn alone. The formula can be applied wet or dry for different finishes and intensities. 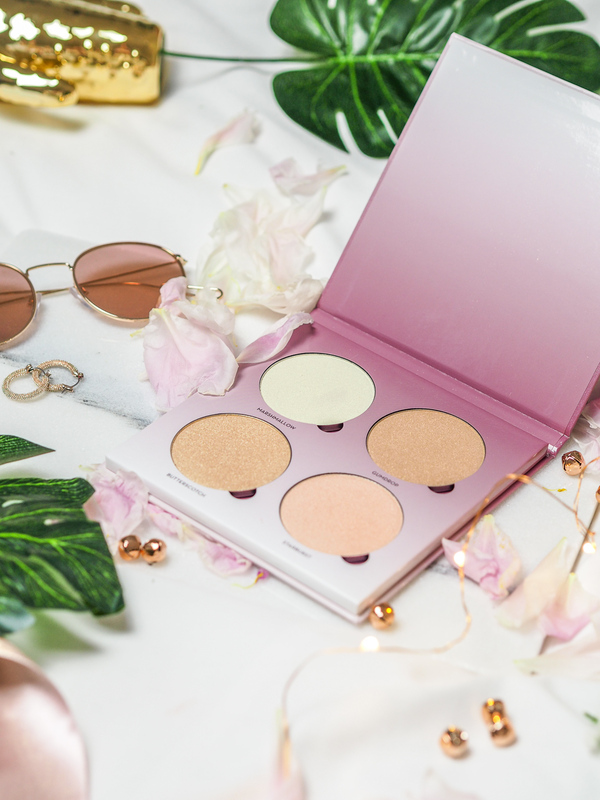 In the palette, you get the shade Marshmallow – a white pearl colour, Gumdrop – a duo chrome pink lilac, Starbust – an icy pink and finally Butterscotch – a honey gold. I’ve always wanted an Anastasia Beverly Hills Glow Kit and Sugar Glow is the perfect one for me. Before now, I’ve been using the Sleek Solstice palette which is a great budget alternative but ABH really raises the bar with this palette! Let’s see how I found each shade..
Marshmallow is probably the shade I’ve been using least due to its white, icy look. It is definitely a lighter highlighter, but has some golden undertones. It’s not quite as scary once applied as it looks in the pan. Gumdrop is definitely the showstopper in this palette. It’s a mix between pink and gold highlight, different to any I’ve seen before and is just a dreaaaaam! It’s so unique that I’ve found myself reaching for this shade the most. Next, Starburst is a light and delicate pink. It’s more of a frosty shade, but the easiest shade of the lot to wear. Finally, Honey Gold was a shade that surprised me. I’ve never really used gold highlight before and always considered them to suit darker skin tones far more, but on days when the sun is shining and I feel like being a bronzed, highlighted goddess – this is the one I’ve been reaching for. So I loved the shades, what about the formula and lasting power? In short – I’m really impressed. The formula is velvety and smooth – not powdery at all which I feel a lot more high-street brands don’t quite manage to nail. They blend beautifully on the cheekbones and have lasted me all day. The shades are bright, sparkling and keep my highlight ‘on point’. I’ll definitely be using this palette right the way through until winter! 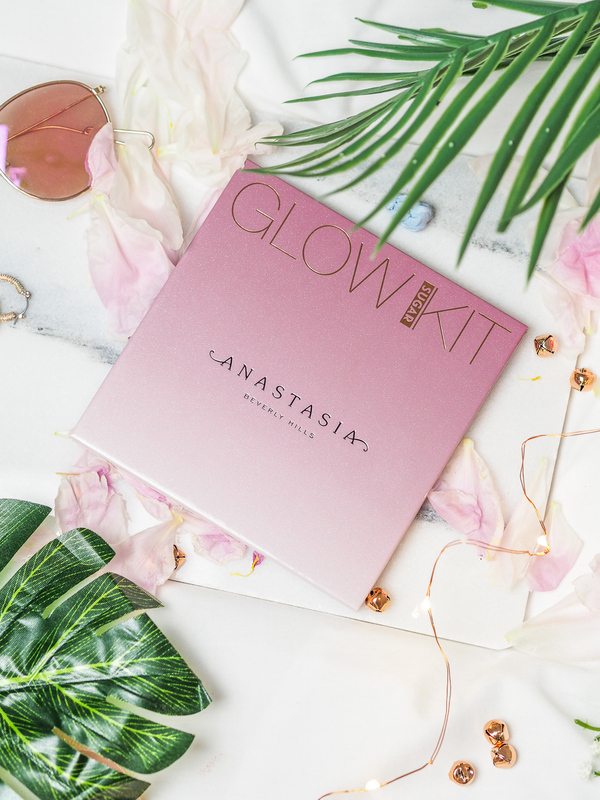 Do you have any ABH glow kits? What do you think of this one?